MetroHealth Medical Center needed space for a new sleep laboratory and no longer needed the former emergency room space. While the space was ideal, the layout was not. This dilemma required Precision's expertise on three fronts: asbestos abatement, mold remediation and floor preparation. 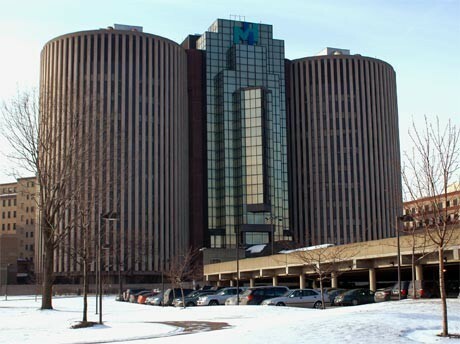 Precision was contracted directly by MetroHealth for the asbestos and mold issues, while the terrazzo removal requirements were the responsibility of the general contractor. After the GC had demolished the interior walls, ceiling, and MEP’s the terrazzo removal became a stumbling block. Since Precision was familiar with both the site and the specialized requirements associated with terrazzo removal, the general contractor retained us to perform the removal. Precisionís flooring crews mobilized to remove the terrazzo which was located in various areas throughout the project site. Using a BMS 3000 deck scraping machine to separate the terrazzo from the concrete base, Precision completed the project efficiently and helped get a stalled project moving towards completion.